The statistics are eye-catching, and will draw double takes, for sure. Let’s start with Shaw University, at 49 percent; South Carolina State University, 39 percent; Tuskegee University, 32 percent; Virginia State University, 30 percent; Dillard University, 22 percent; Central State, 22 percent. Those figures represent the percentage increases in freshman enrollment this fall at some historically black colleges and universities (HBCUs) from around the nation. So, what is the catalyst for this autumn acceleration? Some have called it a sort of cool, in-style renaissance, reminiscent of the days when HBCUs were featured prominently in electronic media on such television shows as A Different World and The Cosby Show. In the past year, the University of Missouri has been the setting for several widely publicized racial incidents, including white students placing cotton balls around the campus’ Black Culture Center, swastikas scrawled in feces on the outside walls of dormitories and a pickup truckload of white individuals screaming racial epithets at black students. Many of the school’s black students demanded change in the racial atmosphere on campus and wanted heads to roll. Some even confronted University of Missouri System president Dr. Tim Wolfe face to face. The situation apparently reached a tipping point when Jonathan Butler, a black graduate student, went on a hunger strike and black players on the football team threatened to boycott games, unless Wolfe resigned. Wolfe ultimately did and Missouri sought in-depth solutions and initiatives in an effort to recover from those racial incidents, as the national media cast a very intense spotlight on the university. Kimbrough wrote, in part: “As a graduate of three predominantly white universities, I still believe black students can thrive there, but only if they accept them for what they are and not some fantasy. As the president of a black college, I’ve noticed that students and their families are giving historically black colleges and universities, HBCUs, a second look, and many really like what they see. But is it really that simple? Has the Black Lives Matter movement and recent racial incidents at predominantly white institutions (PWIs) been the most influential guiding forces for this surge in freshman enrollment at HBCUs? Johnny C. Taylor Jr., president and CEO of the Thurgood Marshall College Fund (TMCF), said ease off the accelerator a bit. More empirical evidence is needed to buttress this argument, he surmised. TMCF, the Washington, D.C.-based nonprofit, represents 47 public historically black colleges around the nation. Taylor responded via email to The Undefeated: “The headline in The Washington Post story is missing one very important word: ‘Some.’ The reality is that not all of our HBCUs are experiencing an enrollment surge — some are up and some are down. Which brings us to Marybeth Gasman, professor of higher education in the Graduate School of Education at the University of Pennsylvania since 2003. Her expertise is the history of American higher education, and she is the founding director of the Penn Center for Minority Serving Institutions program, which essentially means mainly researching and studying HBCUs. HBCUs were prominently featured at the recent Congressional Black Caucus Foundation convention in Washington, D.C. A “College Tour” pavilion of HBCUs was set up in an exhibition hall as part of the week’s annual events and topics at the Washington Convention Center. Representatives from about 25 schools were on hand at booths to promote their HBCUs and answer questions for conventioneers and a smattering of high school students. In an informal poll, most of the college representatives questioned seemed to suggest that, yes, the “Missouri Effect” may be one factor but not necessarily the dominating factor for their increases in freshman enrollment this fall. Representatives from Alabama State University cited a valuable use of social media and marketing as key reasons for the school’s increase in freshman enrollment. A representative from Coppin State University praised the school’s “Summer Bridge” program for incoming freshmen, an arrangement that offers much-needed financial assistance as incoming students become more familiar with daily college life during the offseason that’s between spring high school graduation and fall college enrollment. A representative from Lincoln University (Missouri) touted the school’s 15:1 student-to-faculty ratio and 65 percent freshman-to-sophomore retention rate. Representatives from Alabama A&M University spoke of a concerted effort to increase awareness of the school’s more popular academic programs, such as space science, improved financial-aid packages and more involvement from alumni in the recruitment process. A representative from Oakwood University (Alabama) spoke of the school’s lofty status as one of the top five producers of black applicants admitted to medical schools and No. 1 ranking among HBCU science programs by EBONY magazine. And there is something else in the area of lifestyle-changing skills — a special Detroit-to-Oakwood pipeline for black males aiming to get past their own transgressions and black-on-black street crime in the Motor City. “He’s inclusive of all races, but our president [Leslie N. Pollard] also focuses on disenfranchised black males,” Malcolm Taylor III, Oakwood director for admissions and recruitment, told The Undefeated. Realistically, the only accurate mechanism to determine the “Missouri Effect” is to poll every single incoming black freshman at HBCUs. That data probably is a few years away, Penn’s Gasman said. And there’s Janai, who attended the “College Tour” at the CBCF event. A 17-year-old high school senior from Prince George’s County in Maryland, she said only HBCUs were on her list for college consideration. No PWIs. Why not? Janai, who has aspirations of becoming a nurse, said she formulated her opinion when she was 12 or 13 years old. That timeline suggests four to five years ago, before Black Lives Matter and the most recent racial incidents at PWIs grabbed national media headlines. With that, HBCUs for generations have been prominent in sculpting the life-improvement route for black folks attaining middle- and upper-class status, both in reality and entertainment. So what’s happening here with today’s teenagers and HBCUs? Sherridan S. Schwartz, a professor of political science from Texas Southern University who attended the CBCF’s “College Tour” pavilion, offered her neocultural “touchy-feely” explanation. In other words, previous generations of black students, Schwartz offered, may have taken a “best school possible approach.” That means if a black student qualified for say, Harvard, the University of Michigan, Stanford University and Morehouse College, the decision was nearly automatic. That student, almost reflexively, likely would have chosen Harvard, a beacon of the elitist education model. The best of the best, a high privilege, indeed. An ambiance of aristocracy. Now, there’s a major paradigm shift, for sure, in the new millennials category — considered to be those born between 1995 and 2005. “Black millennials nowadays look at the racial makeup of the faculty,” said Schwartz, who considers herself a de facto “millennial translator,” essentially a conduit between the college hierarchy of presidents, provosts, deans, etc. and the students. “They want to know a school’s diversity initiatives [at PWIs]. They want safe spaces. They are asking if there is a dormitory named after slaveholders or Confederate generals or plantation owners. With that, there is another factor contributing to the freshman enrollment boost: quality, many say. “Students are realizing they can go to HBCUs and get as good of an education as anywhere else,” Alabama A&M recruiter Morris Hall told The Undefeated. 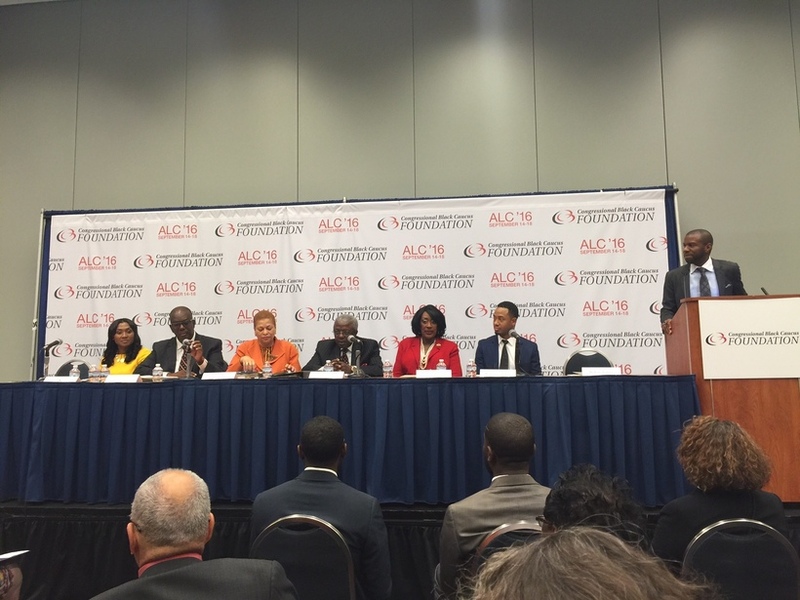 The panel of HBCU presidents at the Congressional Black Caucus Foundation Convention in Washington, D.C. September, 2016. Appearing on a panel at the CBCF convention titled, “HBCUs: The Past, The Present, The Future,” Clark Atlanta president Ronald Johnson spoke of poignant experiences by graduate students from Saudi Arabia that vividly illustrated the welcoming culture and atmosphere of historically black colleges and universities. Last year, in a gesture of thanks, he donated a $100,000 endowment in his name to N.C. A&T’s department of journalism and mass communication. And there is the role of social media and technology dependency for black students. Many young people today are in touch with their parents throughout the day via cellphone calls, emails and text messaging. A generation ago, when a student left for school on the bus, he or she likely wouldn’t communicate with his or her parents for eight or nine hours. Now, it seems like every eight or nine minutes. Yes, constant contact. That often translates to the university level. “Universities have to understand today’s shift,” Schwartz said. “We saw it with white kids. I don’t know if people realize that black millennials can be the same way. They require and request more interaction, inside and outside of the classroom. Today, they want as much accessibility to the school president as they have to the school professors. HBCUs can offer that. Advances in social media and computer programming also are powerful recruiting tools in today’s college recruiting environment. But so is the old-school way. Shaw University used all of the above to boost its freshman enrollment by that staggering 49 percent. “We increased our student enrollment by using technology. We also used cold calls.” said Shaw University president Tashni Dubroy while appearing on the HBCUs panel at the CBCF convention. Some colleges today opt to spend thousands of dollars to purchase specific computer software that enables schools to reach prospective students based on key search terms. For instance, colleges can utilize search engine optimization analytics to connect with pools of high school students who possess a certain score on the SAT/ACT and/or certain grade-point averages from certain area codes or ZIP codes. South Carolina State University boosted its freshman enrollment by 39 percent, an increase the school attributed to a restoration of confidence in its academic standing. In mid-June, the Southern Association of Colleges & Schools Commission on Colleges announced that South Carolina State would retain its accreditation after a two-year probation. A long-awaited relief for the school. Virginia State’s freshman enrollment zoomed by 30 percent, a figure the school credits to a few good wins and a crowning achievement in the past year, school officials said. For starters, the Virginia State Gospel Chorale garnered a first-place finish in the 2015 Steve Harvey Neighborhood Awards Gospel Choir Competition. The school’s chorale also was the first college gospel choir to appear on NBC’s America’s Got Talent. Deshauna Barber, who received a bachelor’s degree in business management from Virginia State in 2011, won the Miss USA 2016 beauty pageant. An ROTC member at Virginia State, she also was the first woman serving in the U.S. Army Reserve to win the title. And Shandra Claiborne, an assistant professor in Virginia State’s College of Education, earned the “Best School Teacher” honor at Steve Harvey’s Neighborhood Awards show in Las Vegas in July. The school’s men’s basketball team won the 2016 Central Intercollegiate Athletic Association championship. “We also sell students on our STEM [Science, Technology, Engineering and Mathematics] program, close student interaction with faculty, a caring atmosphere and a strong financial-aid system,” Pamela Tolson, Virginia State communications director, told The Undefeated. Tuskegee, with a 32 percent increase, lauds its STEM program, which is ranked as one of the top five programs in the country for black students, according to U.S. News & World Report and Forbes magazine. 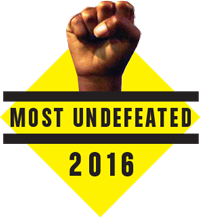 Missouri hasn’t been the only PWI embroiled in racial controversy. Just in the past few weeks, black women especially have reportedly been the targets of racist treatment at American University in Washington, D.C, where a student left a rotting banana by a black woman’s door, along with drawings of penises. Another black female student was hit by a thrown banana. And last year, the University of Oklahoma was rocked by a white fraternity on a party bus screaming chants demeaning black folks as they engaged in incessant and liberal use of the N-word. Remember when Oklahoma president David Boren announced that the university would end its affiliation with the Sigma Alpha Epsilon Fraternity, and demanded that fraternity members vacate the Sigma Phi Epsilon house by midnight? At the University of Mississippi, a statue of James Meredith, who desegregated the university in 1962, was draped with a noose on campus in February 2014. Three white students subsequently withdrew from the university, with two of them arrested for racial intimidation and Sigma Phi Epsilon closing its campus chapter after the incident, which came on the heels of several previous transgressions there. A factor that undoubtedly can force a black high school student to think twice about attending a predominantly white institution.